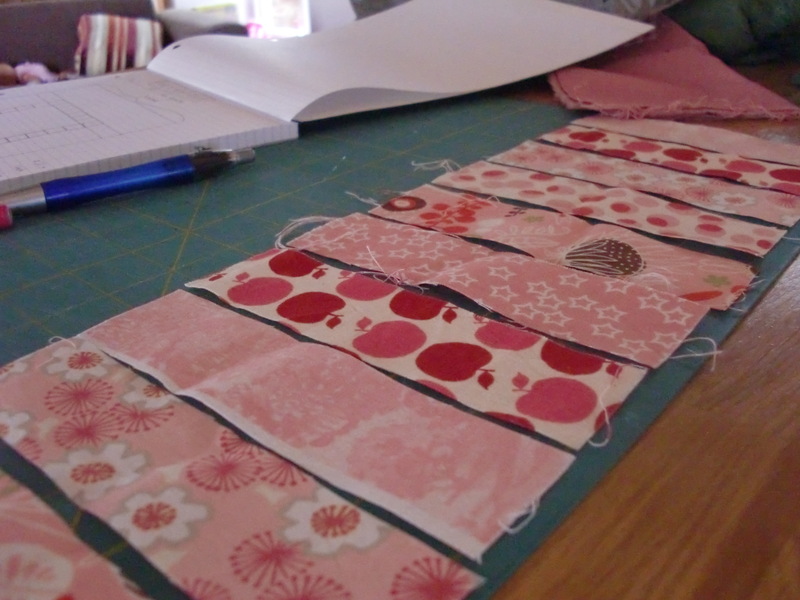 I have had, what you might say, is a very limited amount of experience when it comes to quilting. I’m not really sure what I am doing and the ‘proper’ way of construction and finishing, but I so loved the quilt that I made to celebrate the arrival of my niece last August. I still miss that quilt as I am so proud of it and would love to have the time to make something similar for Charlotte and Emily. I have the stash of fabric at the ready but just need to get around to thinking about a design and somehow manage to convince myself that it is more important to do than the curtains I am putting off making. So the best thing to do when you have too much to do is to forget the to do list and start a completely new project! It is my niece’s 1st birthday in August so I thought I would use some of the leftover fabric to make a little bedding set for a dolls bed. I would like to say that there will be a handmade doll to go with it, but I don’t want to over-promise and under deliver! 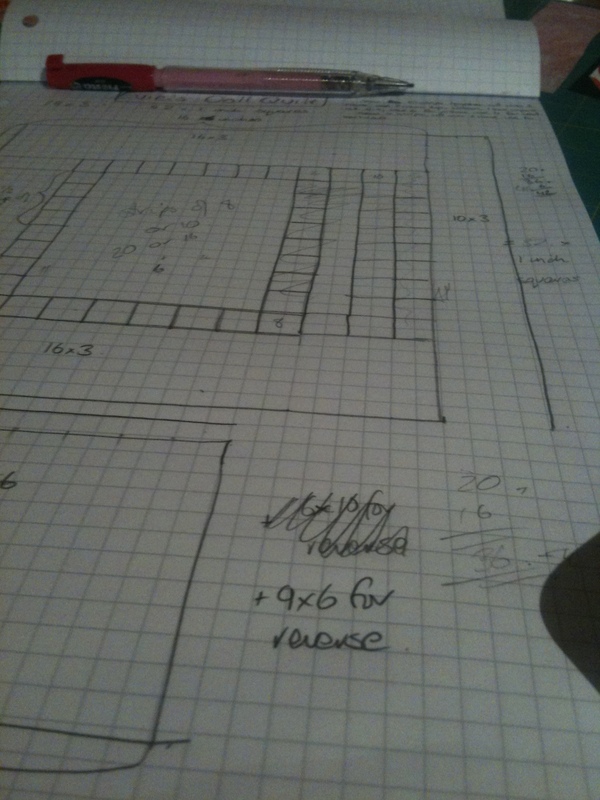 I love a bit of graph paper!